Unfortunately, the Brewers can compete as early as next season, and contend as early as 2018. I write “unfortunately” because the Milwaukee faithful are clearly spinning in the cycles of rebuilding press promulgated by the club, and therefore being coaxed with subtle hints that it might be acceptable to watch losing baseball for several seasons. The most prominent (and perhaps logical) argument in favor of fielding a bad baseball team is landing the draft bonus money that accompanies a high pick; in an era where draft spending is tightly controlled by predetermined slots, landing a Top Three pick gives a club clear financial benefits from losing. Yet, for all its logic (if you’re not going to contend, you might as well lose and sign a lot of talent in the next draft), this rebuilding argument paints over the relative lack of productivity teams gain through the draft. It also glosses over the extent to which most drafted talent does not make the MLB with their original club, and the extent to which many of the drafted, developed “organizational players” that do reach the MLB and stay with their original club are typically replacement players (rather than stars). For every Clayton Kershaw or Evan Longoria, there are throngs of Chris Marrero, Ryan Adams, Alex Sanabia, Chris Petit, Nick Buss, Tobi Stoner, Brett Sinkbeil: the “September call-up” is a more common “organizational draft outcome” than the superstar. If this seems self-explanatory (because, duh, there are very few superstars), it deserves investigation as clubs embark on purposefully noncompetitive seasons to ostensibly gain the benefits of the draft. My survey in this post focuses on one draft (2006), and serves as one addition to a set of recent BPMilwaukee features on the draft and rebuilding. Brewers fans are especially vulnerable to this type of logic after the much-maligned drafting record produced by Jack Zduriencik and Bruce Seid from approximately 2006-2010. While some of those drafts have highlights like Seid’s unbelievable 2009 depth (saving that draft entirely), or Zduriencik’s pieces to the CC Sabathia, Shaun Marcum, and Zack Greinke trades, they are largely void of contending organizational depth. As a result, the Brewers arguably had less ease in reaching for stopgaps, bench players, and other useful fill-ins during their serious contending attempts from 2011-2015. A common refrain among the fans is that the bigtime trades ruined the Brewers’ farm systems, but the simple fact is that the Sabathia / Greinke / Marcum moves were great transactions that lacked significant MLB impact from a series of drafts. Jeremy Jeffress 2006 / 1 / 16 included in Greinke trade / returned to MIL (2014) / key future bullpen core? Tyler Thornburg 2010 / 3 / 96 ’12-present Brewers (96 G) / key future bullpen core? This general point should not be construed as an argument that each Brewers draft during this five year stretch was bad; the verdict remains “out” on the 2010 draft, and the exceptional depth of the 2009 draft class produced median value for the Brewers. It’s simply an acknowledgment that the timing of trades and organizational development from these drafts did not produce a regular contender; sometimes players need to develop with a different organization (see Lawrie & Odorizzi, for example); and, even roster core stars at key positions (like Lucroy) are not always enough to contend regularly. Players that remained with their original club through free agency or their final MLB game. Players that were traded at any point by their original club (here a trade as a prospect is equal to a midseason trade from an MLB roster, for classification purposes). General player value produced by those that remained with their original club (or produced prior to leaving via trade. I did not include waived / released, etc., players here, because those players had negligible value stats as a rule). All stats compiled Thursday and Friday, May 19-20. Milwaukee’s draft exemplifies the difficulties of returning a shallow talent pool, but the club also represents one of the best trades produced from the 2006 draft. Incidentally, the Greinke trade lineage continues in Milwaukee, first through Jean Segura’s time in the organization, and now through Aaron Hill and Chase Anderson (and eventually, potentially, Isan Diaz). It’s obviously difficult to fully categorize the value of many trades for the reason that some trades “keep going” by beginning a string of transactions and multifaceted acquisitions (such as the MLB-established Anderson and Hill, alongside the highly touted prospect Diaz). However, considering the outcome of the Greinke trade should at least be evidence enough that measuring on-the-field, organizational value from the 2006 Brewers draft is difficult and incomplete. Notably, the teams that produced the most valuable on-the-field, organizational production from the 2006 draft show that there is no correct way to maximize draft value. My favorite illustrations: the Yankees established a substantial back-end bullpen; the Rays produced members of a positional core; the Dodgers landed one of the greatest pitchers in baseball history; the Cardinals employed members of a Championship core before shrewdly trading them away; and, the Athletics traded two pitchers at the (arguable) peak of their value. Each of these teams supplies lessons for the Brewers: assess and keep the very best talent from a draft class, but don’t rule out trading a player while they’re valuable, and don’t necessarily rule out relievers as a source of value (among other lessons). While not all of the trades resulting from 2006 draftees were productive, many of the ’06 class served as foundational or supplemental parts of some of the recent MLB blockbusters. Along with Greinke, the 2006 draft class was involved in trades for Jake Arrieta (Steve Clevenger), Manny Ramirez (Bryan Morris), Wandy Rodriguez (Rudy Owens), and a substantial percentage of the contending Phillies rotation (Cliff Lee, Roy Halladay, and Joe Blanton, thanks in part to Jason Donald, Kyle Drabek, and Adrian Cardenas). 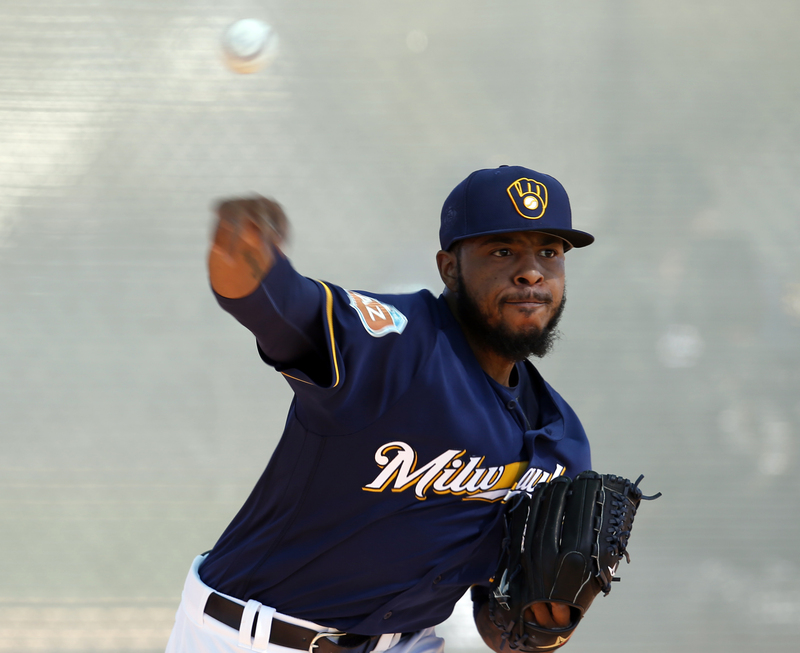 Other trades involving the 2006 draft class netted Felipe Lopez to the Brewers, Dee Gordon to the Marlins, Johan Santana to the Mets, Josh Hamilton and Geovany Soto to the Rangers, and Damaso Marte and Xavier Nady to the Yankees (among others still). Teams should not shy away from using drafted talent to acquire valuable big leaguers or supplant contending aspirations. These moves, taken as a whole, signify the element of timing that lurks behind player development and roster building. Even where draft picks work out (each of these players are MLBers, even if they are marginal value players), an organization may not be able to coax their best value on the field, or translate perceived value into a trade. As a result, one may scrutinize the draft-oriented focus of tanking as a misguided understanding of “getting the time right;” there is no guarantee that an organization will develop the right players from the right rebuilding draft at the right time, just as there is no guarantee that a team looking to contend will get that same development equation correct (cf. 2012-2015 Brewers). While tanking to get a larger draft bonus pool, one must question whether a team is missing other opportunities to acquire talent with the players they have currently developed (even marginal roster depth). A simple corollary question can summarize this meandering stroll through the 2006 draft: which current Brewers prospects and organizational depth players can Milwaukee trade to maximize their value? Which is to say, if hardly 25 percent of any given draft will stay with the organization, who are the stars that the Brewers absolutely must keep from their 2011, 2012, 2013, 2014, and 2015 drafts? Who are the players that the Brewers can employ and trade at peak value? By addressing these questions, one can engage in counterbuilding, or the act of strategizing roster acquisitions that are apparently contrary to a team’s given aims (such as acquiring MLB talent by trading prospects during a supposed-rebuilding year). The basic point is that an organization should not ever enter into a one-dimensional roster-building phase such as a tank or win-now extreme — or, if they do, they had better tread carefully and get their timing right. Milwaukee can use 2016 to work with players like Jonathan Villar, Chris Carter, Kirk Nieuwenhuis, Chase Anderson, and others still, to define and refine the roster depth necessary for contending in the very near future. While they align these players within the organization, they can begin to play some of their best prospects at the MLB level, hastening and emboldening the next step of sifting those talent to keep as contributors, or trade for better MLB players. In an environment where several National League teams are already trending downward into basement-level tanking, such a contrarian roster building strategy could provide the perfect opportunity to contend much faster than anyone currently expects. The Brewers will have the benefit of a high pick in the 2016 draft, and they should at least draft within the Top 10 of the 2017 draft as well. With these facts in mind, the front office can maximize a contrarian position regarding current draftees and organizational depth: as Milwaukee’s farm system ascends to the top of the league, it is time to use that depth to begin supplanting and improving the MLB roster via trades, alongside the hopeful stars that the organization will decide to keep. This is no small decision, as the Brewers cannot use a large TV revenue wallet to cover-up their mistakes as easily as other MLB clubs. It is also a matter of timing the moves right, which is why the Brewers should not waste time on a multi-season rebuilding campaign. A non-competitive 2017 MLB season is as much of a waste for the Brewers as making a mistaken trade.